Old map by [JEFFERYS] -North America. Size: 8.1 x 10.4 inches. 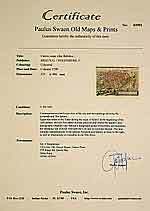 Condition: In excellent condition, map may have been cleaned, dark impression, good margins. With a fold. 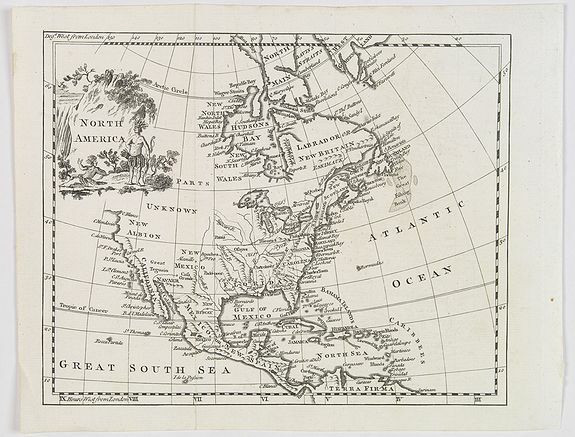 A nice general map of North America, published in London during the latter half of the eighteenth century. It mentions many Native American Indian Tribes, shows 'New Albion' in California, plus huge swathes of the American West are as yet unknown and undiscovered. Continues down through Mexico and Central America to the very top tip of South America, shows Canada and part of Greenland. A decorative cartouche in top left corner depicts Native American Indians with headdresses and bows and arrows. Some rivers, mountains shown, and US states and assorted places named.